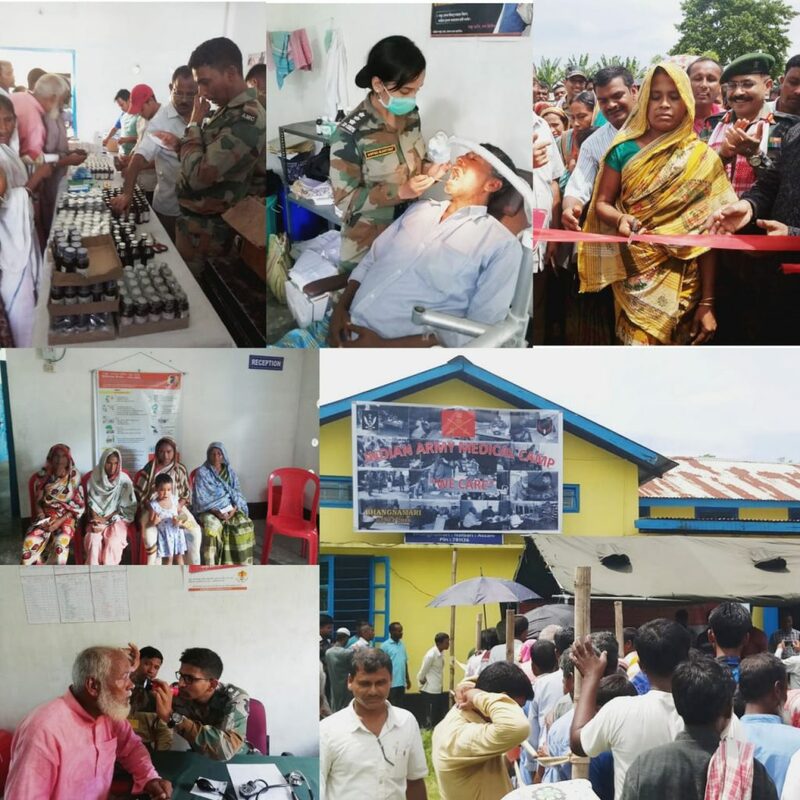 The Red Horns Division under the aegis of Indian Army’s “Civic Outreach Programme – Op Sadbhavana, organized a medical camp for the inhabitants of the remote riverine islands of the Brahmaputra, Bhangnamari Char, Nalbari, Assamon Sunday. The event organized with conjunction and consultation of the local gaon buras and civil administration provided basic health check up to the locals from the village and adjoining areas and spread awareness on common ailments, lifestyle diseases and sanitation. The camp had an overwhelming response with 1753 locals including ladies, children and elderly benefitting from the camp. Essential medicines were distributed to the locals as per prescription. This medical camp received a good response and served to validate the yeomen efforts of the Indian Army in making a positive and discernible change in the society.